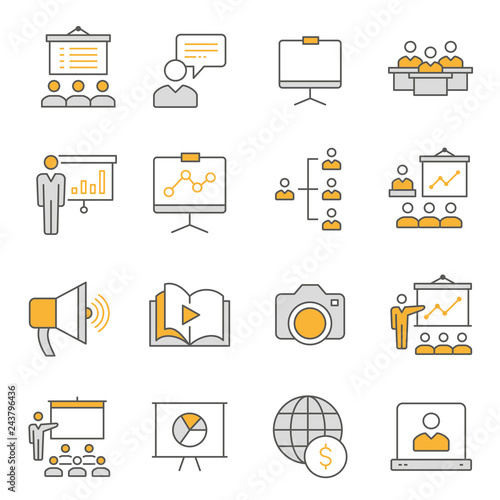 > Glass Splashbacks>Presentation line icons set. Black vector illustration. Editable stroke.